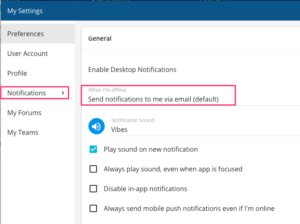 How do I turn off email notifications? 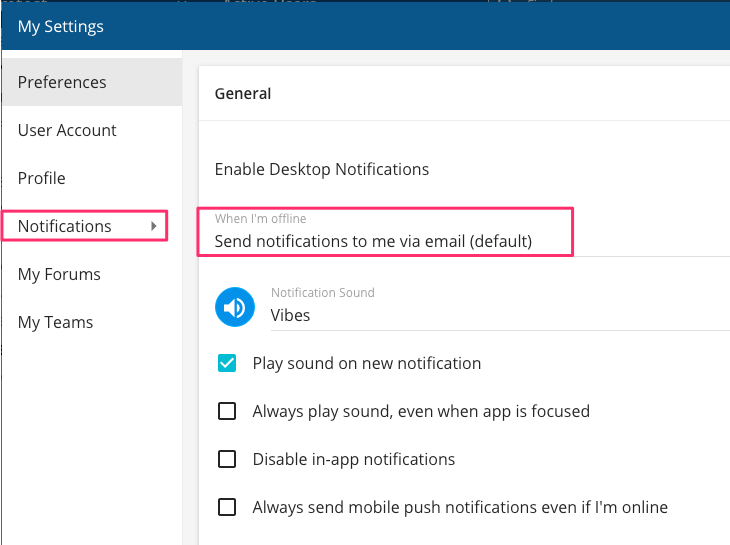 Click the “Send notifications to me via email (default)” entry and choose “Do not send notifications to me via email” from the popup options. Note: You will still receive Push notifications on your mobile device if using the Ryver mobile apps.